Maybe you just entered a relationship, or maybe you’ve been involved for a while. 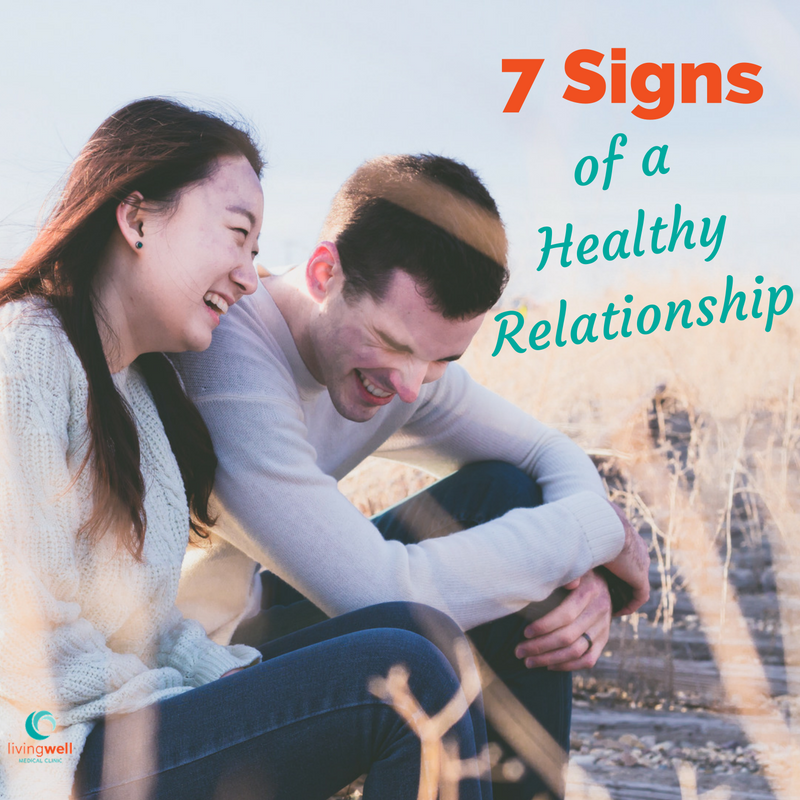 Things might be going great, or you may be noticing some signs that have you concerned about the health of your relationship. Unfortunately, you can’t schedule an appointment with your family doctor for a quick checkup. However, there are a few things you can do to make sure your relationship gets off on to a good start and stays healthy as it grows. 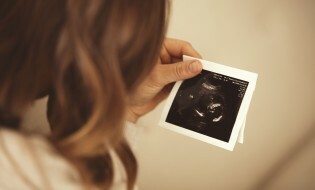 Here are a few signs that things are headed in the right direction. Having a strong sense of who you are before you get involved in a romantic relationship is important. Without knowing and believing in yourself first, it is easy to let the relationship define your self-worth. This can rob you of your confidence and identity and is often devastating when the relationship ends. We know, you’ve heard it a million times, but it’s true. 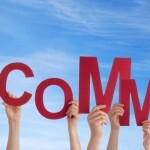 Good communication is the foundation of a healthy relationship. When you’re together, be attentive. Put away the phone, maintain eye contact and really listen to what they say. Engage and get to know your partner by asking questions, but don’t let them do all the talking. Good conversation is like ping-pong. It takes two to play. And once you’re a few dates into the relationship, don’t be afraid to move the conversation beyond the surface. Find out what they believe, what’s important to them and learn about their dreams and life goals. You are an amazing person and you deserve to be with someone who respects you. And so are they. Men, opening a door, pulling out a chair may seem old fashioned today, but it’s often the little things that give insight into a person’s character and heart. Women, how a lady talks about her guy in public or with her friends reveals just as much. This should go without saying, but there’s no place for violence in a healthy relationship. Ever. Period. Exclamation Point! Getting upset and arguing are part of any and every relationship. But, it is essential that you be able to talk to your partner when disagreements happen in a way that brings resolution and understanding rather than escalating things to a violent level verbally, emotionally, or physically. If the relationship becomes abusive, it’s time to walk away, or run if necessary. It’s also important to note that even though it’s not talked about much, abuse goes both ways. Men, if you find yourself in an abusive relationship, you’re not alone and you should seek help. Unmet expectations can destroy a relationship as frustration builds and communication erodes. It’s important to be honest about what you want and need in a relationship. And it’s important to know and understand the expectations of your partner as well. This isn’t something you probably want to talk about on the first date, but as the relationship moves further along the path, having this discussion often can eliminate a lot of resentment and pain. It’s also important to realize that even healthy relationships don’t always work out. Sometimes it’s better to recognize this early and move on rather than stringing things along until thing become unhealthy. Without trust, you can’t have a healthy relationship. You need to know that your partner is always there for you and they need to know they will get the same kind of support in return. You respect each other’s privacy and personal space. You don’t question their motives without good reason. This also applies to the digital world as well with things such as email and social media passwords. There’s a fine line between being open and feeling like you’re not trusted. In a healthy relationship each person knows and respects the other’s boundaries. Ignoring those boundaries and pushing the other person too far is one of the fastest ways to destroy trust and ruin a healthy relationship. There are three key things when it comes to physical boundaries, knowing yourself, communicating your expectations, and holding your ground. Do you know what level of physical contact you are comfortable with ahead of time rather than waiting until the heat of the moment? Let your date know they are approaching your line before they get there. It’s also important to establish emotional boundaries. Being vulnerable and having open communication in a relationship is good, but sharing too much, too soon can be unhealthy. When you’re starting a new relationship, dumping too much emotional baggage or sharing too much about past failed relationships with your date can be overwhelming. Spend some time building trust first. With relationships, there are no guarantees. There’s no system of 7 steps that if you follow them exactly things will turn out perfectly. There can’t be, because we’re all unique with our own quirks, faults, and emotional needs. 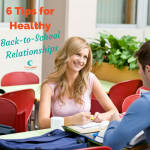 Having said that, we all do have quite a bit in common as well, and by working on these seven areas, you can increase your chances of finding and maintaining a healthy relationship. We’re sure we didn’t cover everything in the 7 signs above. We’d love to hear your thoughts about other signs of a healthy relationship, or questions you may have in the comments. And if you find yourself in a relationship that isn’t healthy and need someone to talk to, we want you to know that the LivingWell staff is here for you. You can contact us here to set up a time to come in to talk.